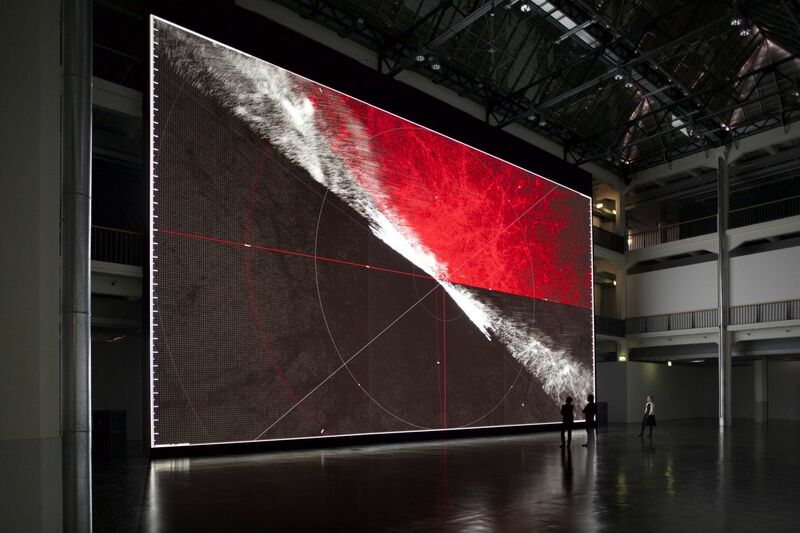 Ryoji Ikeda presents a new exhibition of work at Carriageworks, Australia from 4 - 29 July. The show, titled micro | macro, is Ikeda’s third at Carriageworks, and is the culmination of the artist’s residency at CERN, European Organisation for Nuclear Research Switzerland, where he carried out research into quantum physics and visualised this research. In particular Ikeda worked with the Planck Scale, a scale for measuring atoms, the smallest building blocks of the universe yet identified. In micro | macro Ikeda uses the Planck Scale to contrast microscopic, macroscopic, and human-perceivable scales. In doing so he makes the invisible visible and the incomprehensible conceivable. In this way he seeks to open up new ways to think about and discuss the building blocks of the universe and the multiple scales on which they interact.. The exhibition includes two large scale audiovisual installations, the planck universe [micro] and the planck universe [macro]. The installations are theatrical in scale and context, occupying an enormous space inside Carriageworks. The planck universe [micro] focuses on atoms, the components from which all matter is built, and examines the universe on a microscopic scale, enlarged by a measure of 10-35m. Meanwhile the planck universe [macro] depicts nature amplified from human scale to cosmological scale. The installation is over 10 metres tall and immerses visitors in an expanding universe of expressive new forms.